You mean like 1980 new? No, like 2018 new. IBM continually innovates and today mainframes offer encryption that runs 18.4x faster than x86, massive scalability, and 99.999% uptime. Your customers need assurance that their data is safe, and your services will remain available and fulfilled instantly. Your company wants to understand and connect with customers at a deeper level, and in near real time. IBM mainframes help you accomplish these goals. The world’s most trusted servers offer 100% encryption to protect your data from internal and external threats. IBM mainframes deliver record uptime and 99.999% availability. Why mainframe – and why now? Learn why Gartner recommends I&O leaders "should work with their security counterparts to evaluate the mainframe's suitability and cost-effectiveness to protect digital assets." 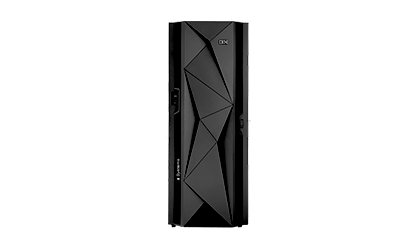 IBM Z® mainframes deliver the world’s best security and reliability, with millisecond response times, hybrid cloud deployment, and performance at scale. The new z14 single frame and z14 dual frame mainframes enable the ultimate protection for your data, simplify compliance, and offer a robust cloud data center platform. With machine learning on z14, you can capture insights in real time. This earlier generation speeds insight, offers scale, and protects transactions with the reliability you expect from the IBM mainframe. The capabilities of the z13 in a smaller footprint, at a more affordable price. It’s a lower entry point for a highly available and secure system for hybrid cloud and real-time analytics. 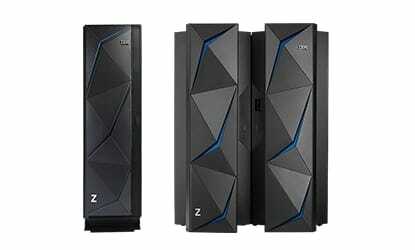 IBM Z mainframes run on a variety of operating systems: z/OS, Linux on Z, z/VSE, z/TPF, and the z/VM hypervisor. With IBM Z, you gain a highly scalable and secure IT infrastructure – on premises, off premises, or provisioned as-a-service – to deliver trusted digital experiences for your customers. 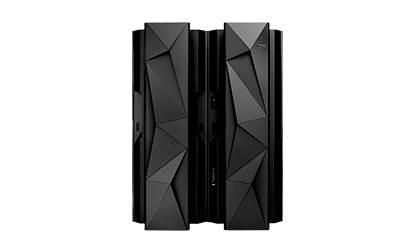 The mainframe is constantly being reimagined and reinvented for the newest applications at their highest scale of deployment. Accelerate your organization’s growth with high-performing enterprise IT features for analytics, blockchain, secure data management, operational excellence, and enterprise DevOps. Software for trusted digital experiences on the IBM mainframe. Make the most of your investment in the IBM Z platform with more than 100 applications, from analytics to data management and security.